Western Province made a fast start to the match before claiming a 30-16 win over the Blue Bulls in the provincial tournament at Newlands in Cape Town on Friday. Province raced to a 17-3 lead after 18 minutes and outscored their opponents three tries to one to claim a victory in their first match of the series with flyhalf Brandon Thompson kicking 15 points courtesy of three conversions and three penalties. In a match played in bright sunshine, Thomson and his opposite number Tony Jantjies traded early penalties but the first 10 minutes saw a lot of huffing and puffing from the two teams but both outfits battled to string together much in the way of phase play. But the hosts broke the stalemate in the 12th minute when inside centre Daniel du Plessis forced his way over from close range for a converted try after Province had set up an attacking lineout five metres from the Bulls’ tryline. The home team extended their lead five minutes later when lock Chris van Zyl burst through the Bulls’ defensive line with outside centre Tim Whitehead on hand to round off the move after a deft dummy saw him canter over untouched for a converted try as Province eased to a 17-3 lead. The Bulls hit back in the 25th minute after they made full use of an attacking lineout with loosehead prop Nqobisizwe Mxoli mauled over for a converted try. 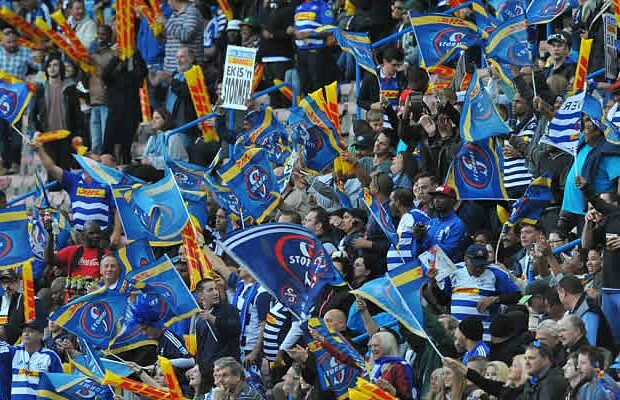 The visitors were exerting a lot of pressure on Western Province’s defence with the hosts conceding a number of penalties and the pressure finally told as Jantjies slotted two penalties to narrow the gap to just one point with under five minutes left in the half with the Bulls in the ascendency during the second quarter of the match. But Thomson made sure that the home team went to the break leading 20-16 as he kicked a long-range penalty after the siren had sounded. The opening exchanges of the second half saw some scrappy play from both teams with penalties and handling errors resulting in a stop-start affair. But Province extended their lead courtesy of Thomson’s third penalty, in the 54th minute, before the Bulls suffered a setback when replacement lock Le Roux Roets was yellow-carded for a neck tackle. Roets was sent to the bin in the 60th minute but Province failed to score while the burly lock was off the field despite being camped on the Bulls’ tryline. The last 15 minutes was a frustrating affair with a number of reset scrums and yet more penalties resulting in very little actual play taking place. But Province made sure of their win, in the 77th minute, when replacement lock Meyer Swanepoel muscled his way over from close range for a converted try.